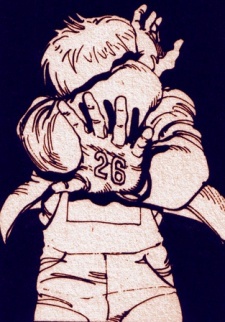 Takashi, designated #26, is a member of the Espers. Takashi was inadvertently instrumental in Tetsuo's psychic emergence and his eventual fall into insanity when he was trying to find a way in the outside world and happened to be standing right in Tetsuo's path on the road. In the manga, Takashi is accidentally shot through the head by Mr. Nezu and dies instantly, leading to Neo-Tokyo's destruction by Akira.